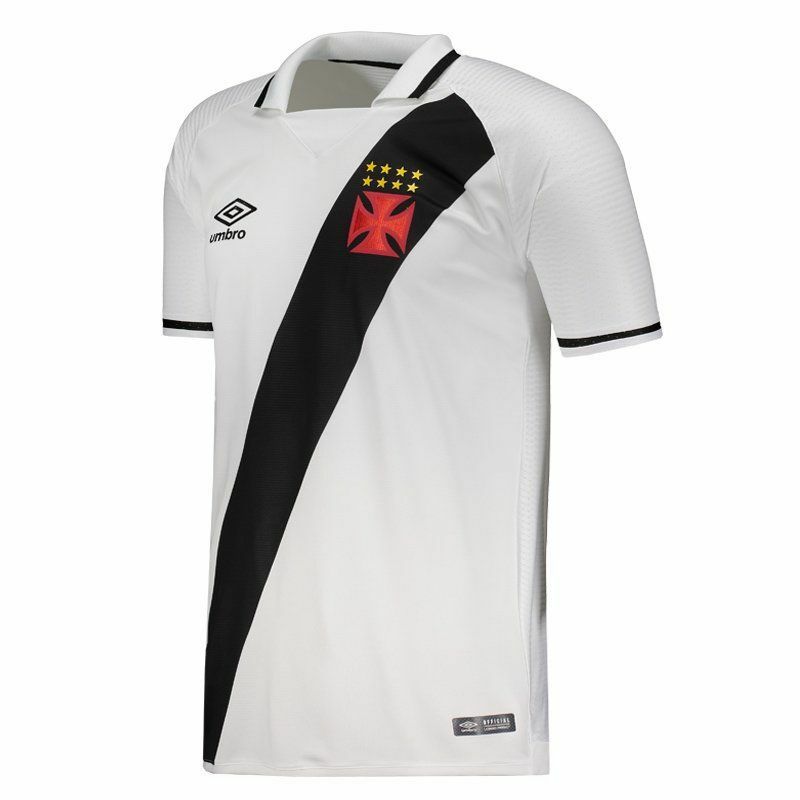 Produced by Umbro, the Vasco reserve shirt for 2017, model player, can be customized with name and number in the official team font. The mantle is made of lightweight polyester and features on the back and sleeves, small breathable mesh fabrics . More info. 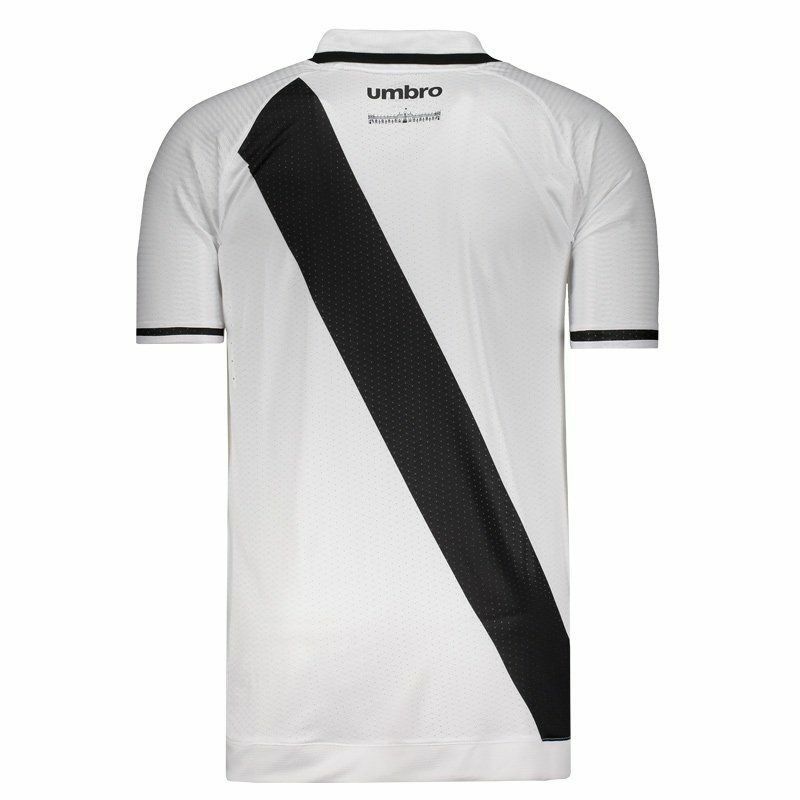 Produced by Umbro, the Vasco away shirt for 2017, model player, can be customized with name and number in the official team font. The mantle is made of lightweight polyester and features on the back and sleeves, small breathable mesh fabrics that help sweat evaporation, a great choice for fanatical fans to show their love for the Hill Giant within stadiums or day to day . 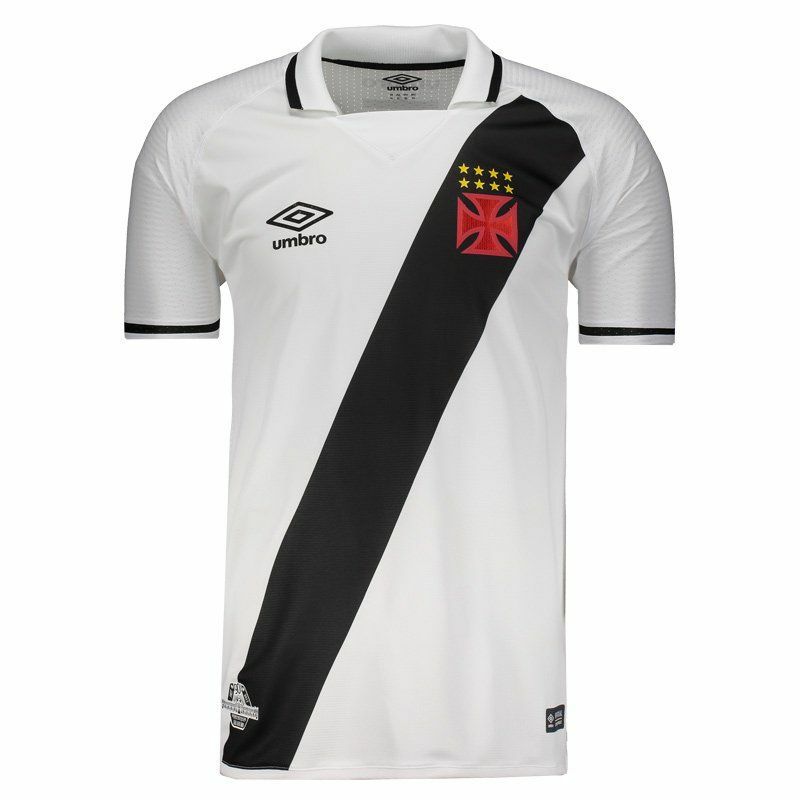 The design has the predominant white color and there is still black in the traditional cross section, which starts in the left shoulder and goes to the right side of the bar. The Cross of Malta marks presence on vinyl on the left side of the chest. 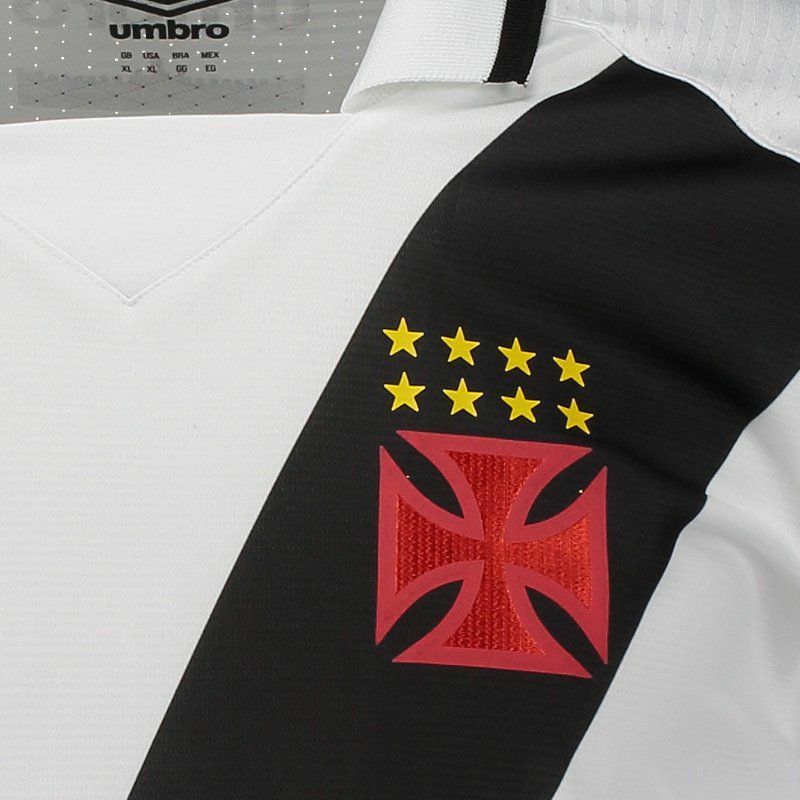 In addition, a stamp commemorating the 90 years of São Januário is present near the bar, while an image of the stadium marks presence below the nape of the neck. Finally, its collar is polo with differentiated cut. Get it now!